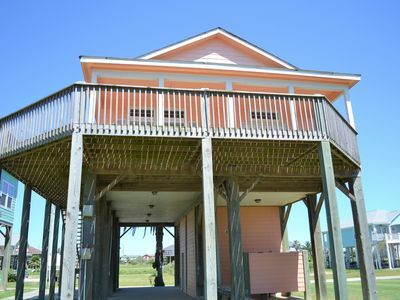 HUGE BEACHFRONT VIEW, CORNER LOT, 2ND ROW AND 75 STEPS TO THE BEACH! 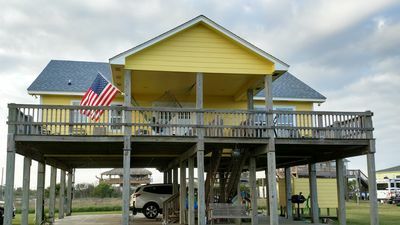 This beautiful 2nd row, 3 bedroom/2bath home, which sleeps 14 is located in a quiet neighborhood. 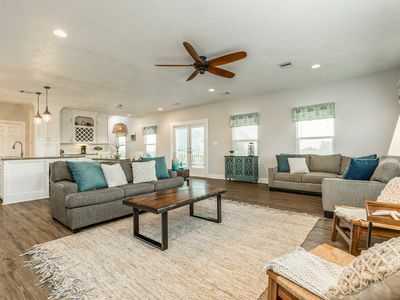 This home has all the amenities you could want and then some starting with the gourmet kitchen, equipped with stainless steel appliances, granite countertops, custom cabinets, large kitchen island and open concept making it perfect for entertaining. 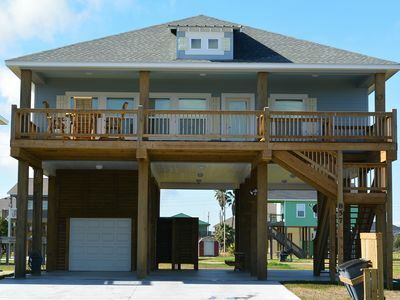 This spacious home is decorated with coastal décor and stylish furnishings, including a built-in murphy bed, hardwood floors and a fireplace is sure to be a favorite beach vacation get-a-away. Enjoy awesome views while sitting and relaxing on the deck with your morning coffee or with your favorite cocktail in the evening. The downstairs area is perfect for relaxing afternoons. It also has a landing area for more relaxation or just to get out of the sun. You can enjoy the swing and sitting around the picnic table while you cook something up on our two charcoal grills. 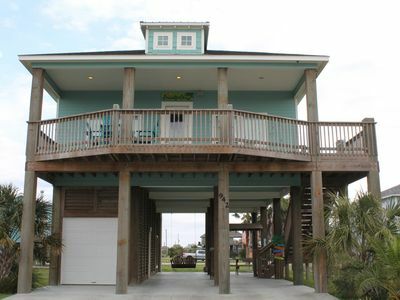 When you are ready for some beach time, you are only a short walk (75 steps to the beach), golf cart, or vehicle ride away. There is a downstairs shower and fish cleaning station as well. 3rd bedroom has 4 Full over Full beds and 1 twin trundle bed. Living room has 1 Queen Murphy bed. WiFi Available because we know it's a must to have! My guests provide their own linens (towels and sheets), but the pillows, blankets, and comforters are included in the rental. Please email [email protected] to inquire about booking this property and answer any questions you may have. 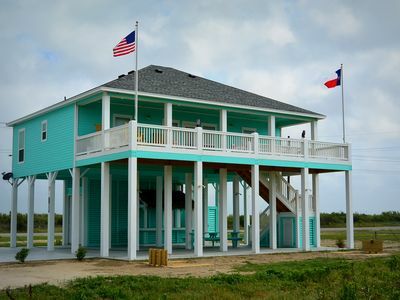 We are excited to share our beach home to families that will respect and appreciate it like we do. 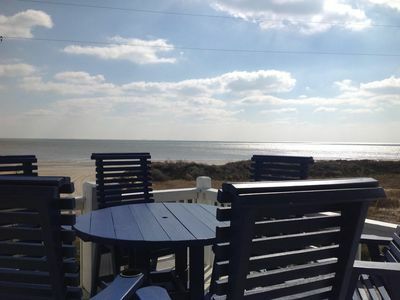 You will agree that Quietude Cove is a special place to relax and enjoy your time at the beach! 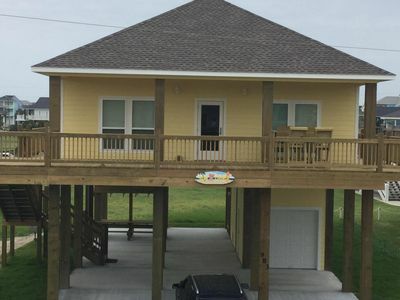 Sundance ~ Brand New 3 bedroom 2 bath~ 400 ft from the beach!!! 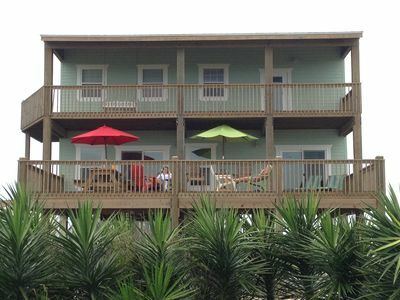 Jada's Getaway- Your perfect beach getaway! 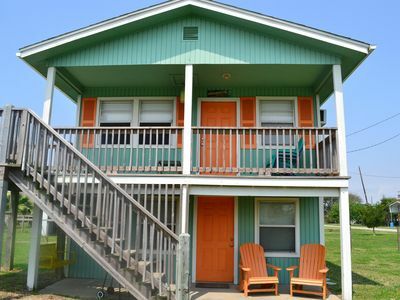 Mermaid Lounge - budget friendly bayside home!